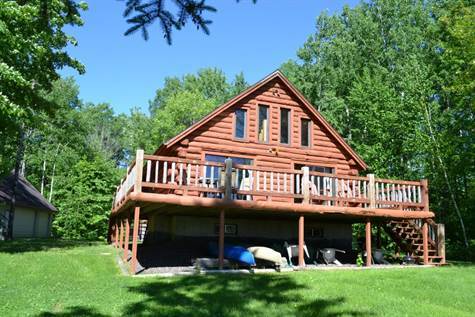 Tucked in on the north side of Nelson Lake is this full log home with hardwood floors throughout. An spacious front lake side yard with level frontage and a great view of the lake. A large open air loft. Big open deck to relax and enjoy the view. This is a very private northwoods get-a-way on Nelson Lake. A huge three car plus car garage for all your toys, plus an unfinished loft area above the garage. Almost five acres with approximately 176 feet of sand frontage.